WOW! It’s been faaaaar too long since our last post, and how things have changed for us! 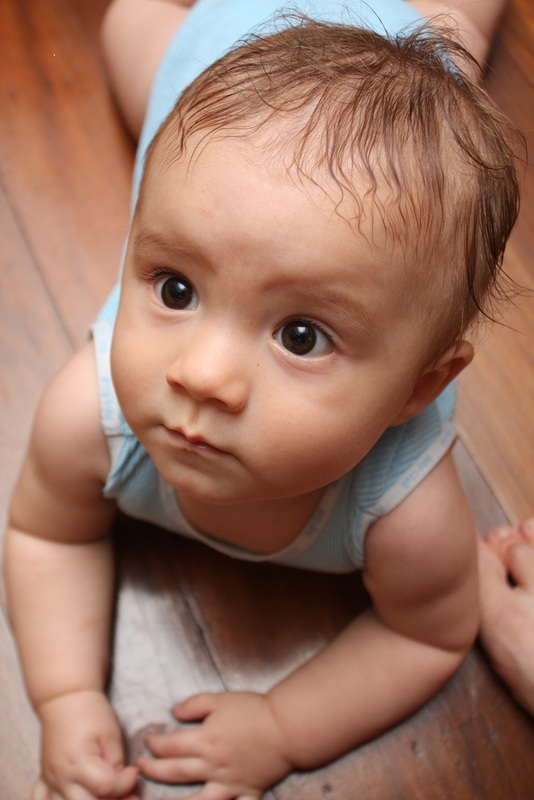 We have welcomed into the world a baby boy…who is now 7 months old. He is an absolute bundle of joy and we are so lucky to have a son like…DION! Born on August 19th, 2010 at 19.27 hrs at the Royal Brisbane Woman’s Hospital. Only a 5.5hr labour….guess he was in a rush. I had rung the hospital earlier that day (8am or so and they said to call back when contractions were 3 -4 mins apart) By lunch time, they became so strong but still a while apart…apparently this is not counted as labour! (15 -20mins apart) I was in tears by 4pm and called again, explaining it was REALLLLLLY hurting…can I please come in….they said to come in but I will probably be sent home. On the way to the hospital, we seemed to stop next to a bus load of people at each red light…RIGHT when I was having a contraction. By the time we got to hospital, I was only 5-6mins apart. By the time a midwife saw me, I was 6cm dilated and 3-4mins apart. She asked what pain relief I would like…advised I planned on the epidural, she went to get the aneathesist, but he was busy! By the time she came back, I well on the way to delivering. The pig was hopeless….sorry, but I will admit it…..dear other fathers who wives are going through a delivery…don’t sit 2m away and tell your wife the machine is showing another contraction coming and taking glee in the fact you know. Perhaps stroking your wife’s hair or holding her hand (no matter how painful she may squeeze it, it is NOTHING like giving birth) would be a lot more appropriate. He came in at 3190grams and 51 cm long….no drugs…the Witch wasn’t happy but it was for the best. Little boy had the cord in a knot and was in a little trouble, so not having drugs was actually a good thing – his heart rate would have been too low had I had medication of sorts and it was low enough as it was with the knot. We welcomed Dion a little sooner than expected, he was 9 days early…so mum did not get the time off work, less than a week to be exact…so the nursery wasn’t quite ready. Whoops! The great thing about him being early was uncle Peter and cousin Kaito were here from Japan…and aunty Leah was up from Armidale for the weekend. So they all got to meet him sooner than expected. For uncle Peter, it was so lucky as he was leaving for Japan again that weekend. Our first night home and the Pig thought it a great idea to have a party with ALLLLL the family together……yeah, the Witch didn’t really like this idea but apparently giving birth, being super tired and bringing home a newborn is not enough to convince Paul otherwise. We didn’t get much sleep that night and had to be up early for uncle Peter to go back to Japan. Once all the guests were gone we had a very untidy house (my one wish was to come home from hospital to a neat and tidy house) and a newborn we knew little about caring for!!! The next few weeks were tough….lots of hunger cries, little sleep for either parent and a zombie like status. It took until week 11 before he slept at least 4hrs through the night, up until then…it was feed every 3hrs, one hour feed, 20mins burp and settle, get myself ready for bed..sleep an hour…back up to do it all again….every 3hrs every day! He first slept through the night around week 16. It gradually got better. At 7 months, he stays up until 10 or 11pm but seems to sleep until 9am…so not too bad. He started commando crawling at 6.5months. Plenty of smiles though. Everyone comments what a gorgeous, happy and alert baby we have, and we couldn’t agree more! So much more to write, but this will do for now…..